I visited Widus Casino in Clark County in the Philippines in October 2016. 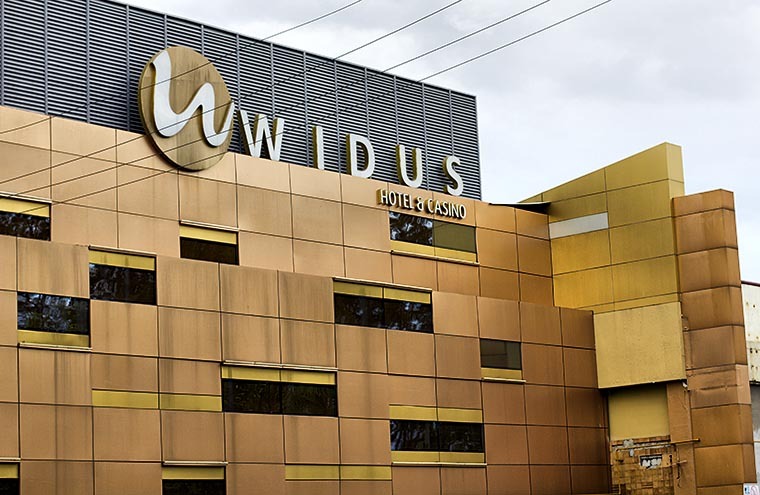 At that time 5 casinos operated in the city of Angeles and Widus was among the leaders. It was a large park casino where, apart from hundreds of slot machines, about 15 or more gaming tables with various games were installed. I remembered this casino because here I for the first time tried to play the so-called Lunar Poker. A helpful dealer with a Philippine player explained to me for a long time the rules of this painfully familiar game. In fact, Lunar Poker is a modified version of the game called the Russian Poker which for the first time appeared in Moscow casino Europa Club in 2004. The Russian Poker game became so popular all over Russia and former USSR countries that it replaced all other types of the poker. But it wasn’t licensed. As far as I know, the American company borrowed the idea, changed the name and is now selling this game as its own development. I outplayed Widus Casino in the Lunar Poker. Probably, it was the result of the years spent in Russia playing the Russian Poker and the player’s potential gained in that way. Surely, I also won the roulette. Another interesting aspect which I noted in Widus Casino is a large inscription Cashier which was visible from everywhere from gaming tables. I met such obsessive positioning for the first time. As a rule, casinos try to hide access to the cash desk. Search for the cash desk in Macao and Las Vegas Casinos may be compared to a quest for treasures when you find on your way either one-armed bandits or the tables for roulette and blackjack. While in Widus Casino such conspicuous inscription sort of spurs you: “Hey, buddy, if you win it’s time to flee the casino!” And I did so taking with me chips from Widus Casino for the collection.